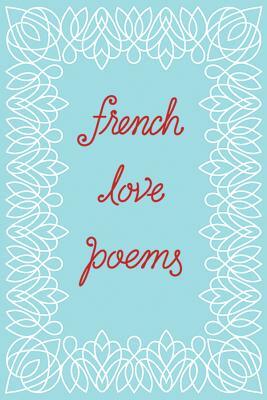 Filled with devotion and lust, sensuality and eroticism, fevers and overtures, these poems showcase some of the most passionate verses in the French language. From the classic sixteenth-century love sonnets of Louise Lab and Maurice Sceve to the piercing lyricism of the Romantics and the dreamlike compositions of the Surrealists, French Love Poems is the perfect, seductive gift for anyone who makes your heart flutter. This collection includes poems by Guillaume Apollinaire, Charles Baudelaire, Claude Cahun, Ren Char, Marceline Desbordes-Valmore, Paul luard, Louise Lab , St phane Mallarm , Anna de Noailles, Joyce Mansour, Arthur Rimbaud, Paul Verlaine, and many others; as well as translations by Mary Ann Caws, Robert Duncan, Lawrence Ferlinghetti, Denise Levertov, Ezra Pound, Kenneth Rexroth, Frederick Seidel, Richard Sieburth, and William Carlos Williams.